Baked beans in a deliciously rich tomato sauce. Family format. 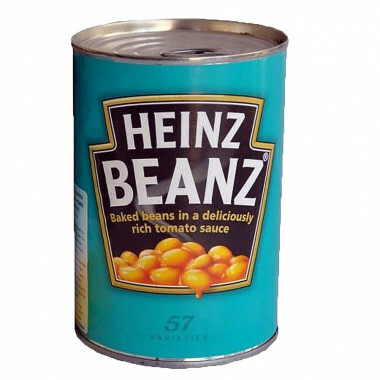 A basic ingredient to your Irish or English breakfast, these baked beans may be enjoyed alone or with a toast. They are also great as a snack or accompaniment to any meal. Without any colourings or preservatives, these beans are a rich source of proteins and fibres. Henry J. Heinz and L. Clarence Noble, originally brick manufacturers, enter the food industry when establishing the Heinz & Noble society in 1869. Specialized in the production of condiments (horseradish, pickles...), they supply wholesalers in the Pittsburgh area, United States. From the outset, they focus on the quality of the packaging of their products and choose glass which, by transparency, reveals the high quality of the product. In 1886, Henry, with his entire family, crosses the Atlantic to showcase seven of his new and finest products at the famous London store Fortnum & Mason. 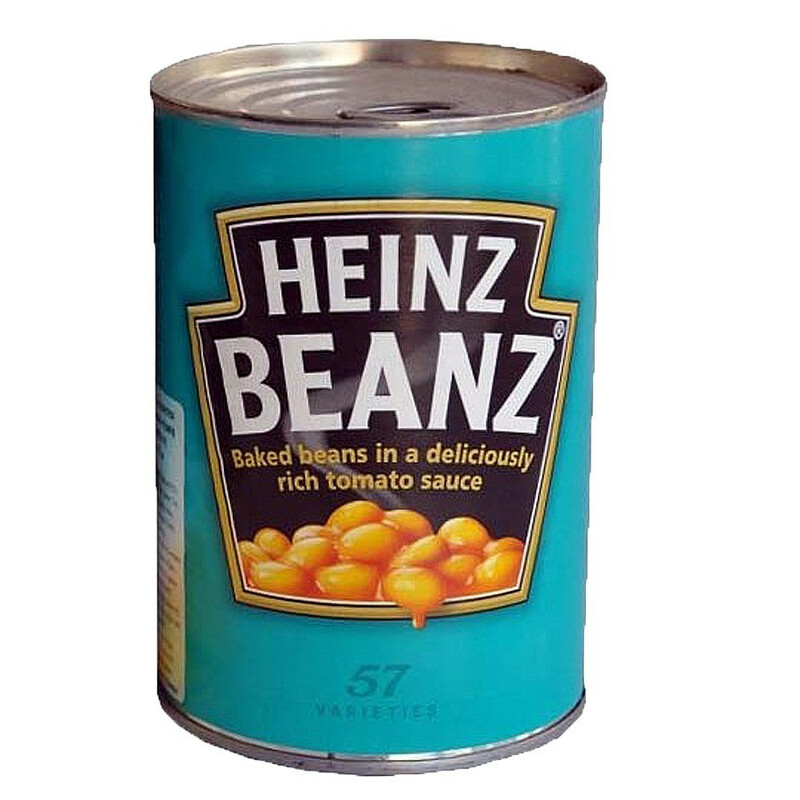 In 1920, although already exporting Baked Beans, Spaghetti and Tomato Ketchup, Heinz moves its first production site outside North America to England. 10,000 tons were produced right from the first year. Ingredients: beans (51%), tomatoes (34%), water, sugar, spirit vinegar, modified cornflour, salt, spice extract, herb extract. How to store: Empty unused contents into a suitable covered container. Keep refrigerated and use within 2 days. 1) Microwave: 850W, unse covered microwaveable container. Heat for 1 1/2 minutes. Stir. Heat for a further minute. 2) Hob: Heat gently in pan. Best before: see can end.